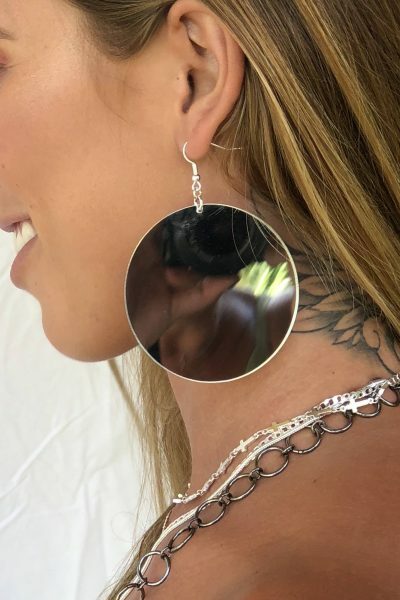 These large hoops are super cute. 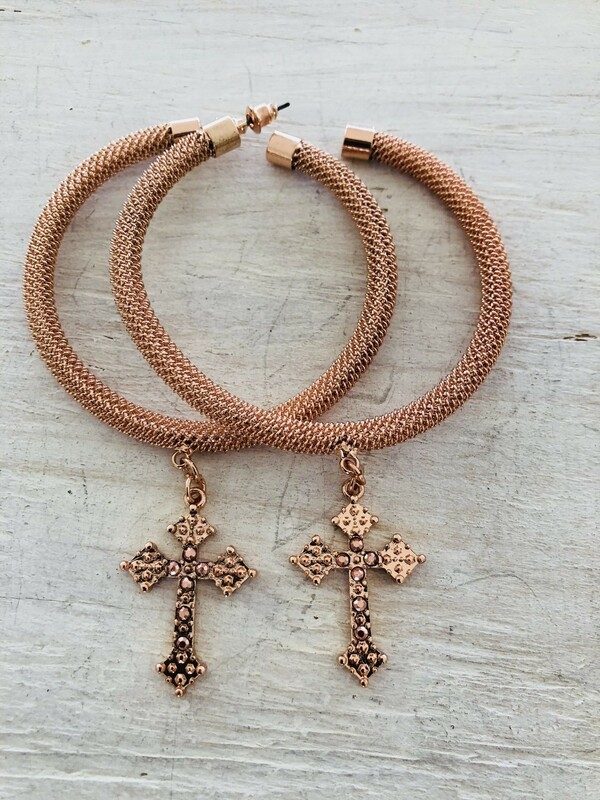 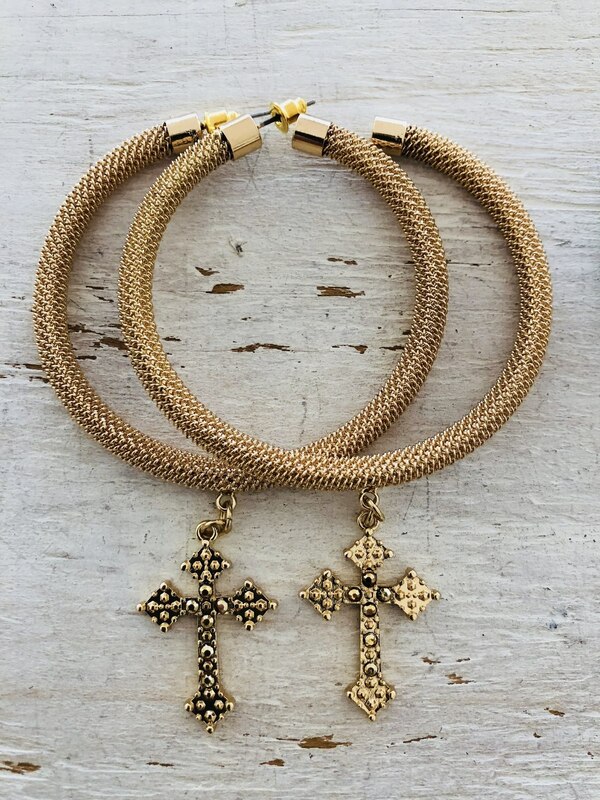 Mesh metal fixed chain with cross pendant. 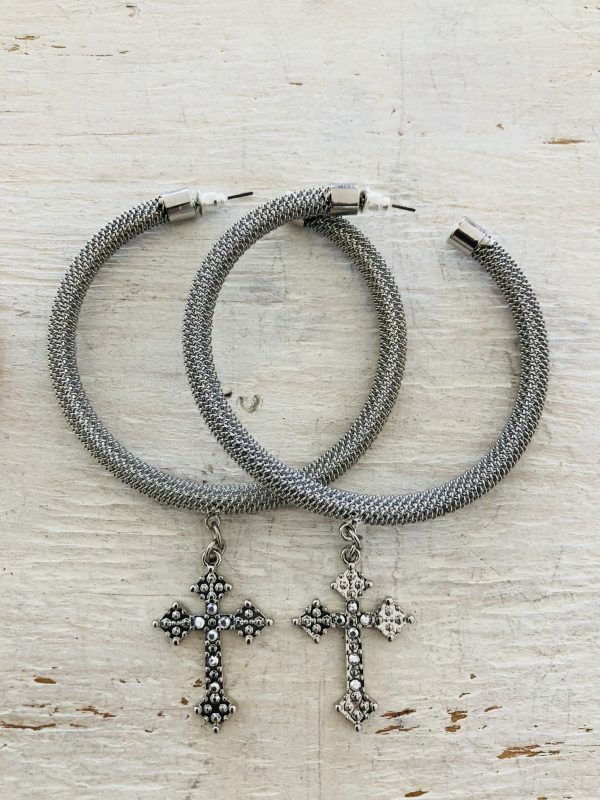 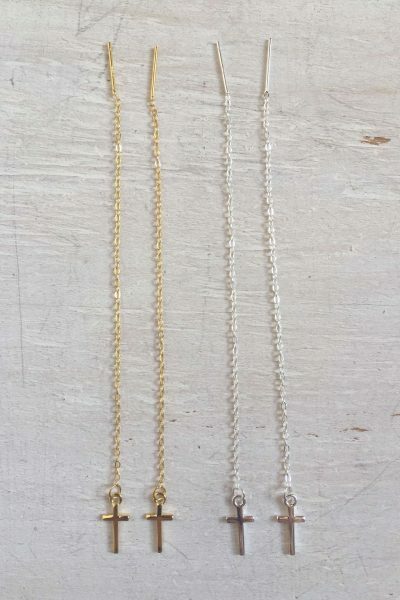 The cross pendant has same metal toned glass stone, adding all the bling you need.